Cyanobacteria are prokaryotic, autotrophic organisms which, developing in mass, create water blooms. 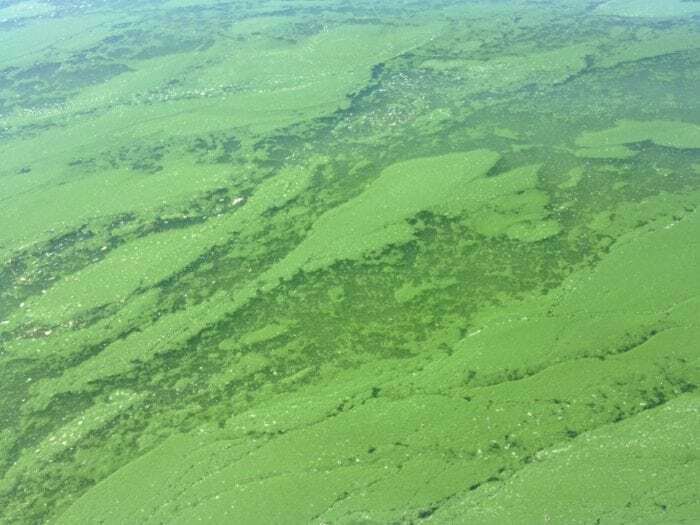 Increasing temperature due to global warming and anthropogenic eutrophication are factors considered to promote the proliferation of harmful algal blooms (HABs). 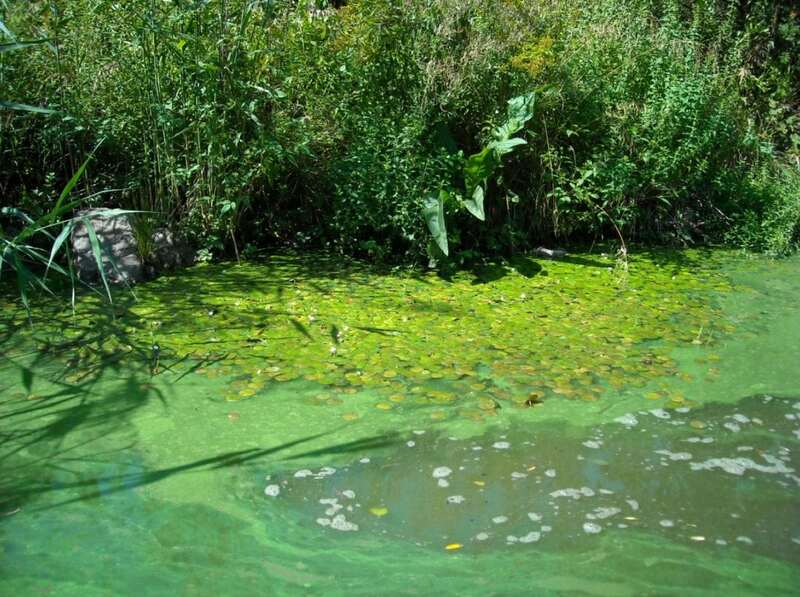 A potentially hazardous consequence of cyanobacterial blooms is the production of toxins. There are several types of cyanotoxins but the most common are microcystins. 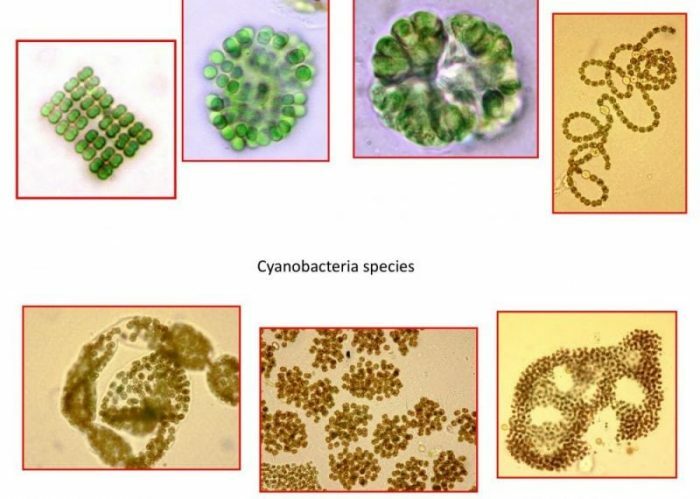 They are produced by various species of cyanobacteria e.g. species from genus: Anabaena, Microcystis, and Planktothrix. Microcystins are endotoxins, produced in cells and released into water during the cells lysing. In water, toxins may remain for up to 3 weeks causing harm even after the cyanobacteria are gone. Microcystins damage living organisms by altering cell metabolism, which finally leads to necrosis or apoptosis of cells. They are hepatotoxins, affecting cells of the liver. They may also affect membranes of cells that have packing defects. 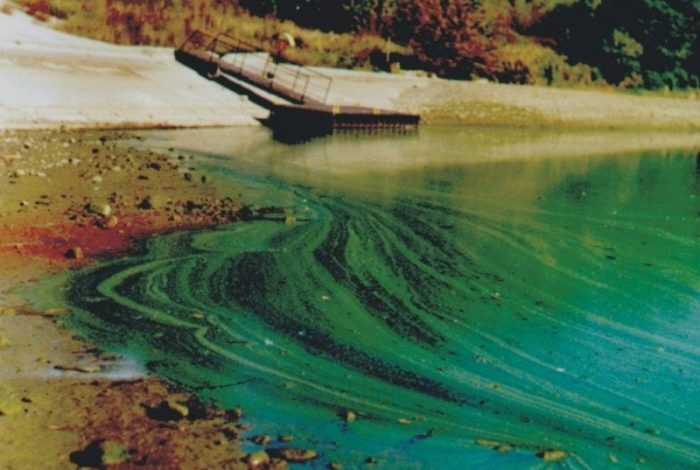 The further consequences of cyanobacterial blooms are hypoxia, decreased biodiversity, and disrupted food webs. The trophic interactions may be changed through several mechanisms but the first one is that cyanobacteria are a poor food source due to their large size, low digestibility and lack of long-chain polyunsaturated fatty acids (PUFAs). However, some species of zooplankton may graze cyanobacteria, even those which produce toxins. This way cyanotoxins are transferred through the food chain beginning from protozooplankton and metazooplankton, which are primary consumers. They might be transferred to higher trophic levels as particles bound outside cells of zooplankton, as well. There are little studies how proto- and metazooplankton species respond to toxins dissolved in the water. Increasing alteration and creation of artificial water bodies will fasten proliferation of HAB’s. Therefore, the presence of microcystins dissolved into waters in high concentration is expected in the long term. In general, we hypothesized that in artificial or altered water bodies in a temperate zone, in which natural cycles are disrupted, the effect of dissolved microcystins on plankton assemblages will be more pronounced. Our studies are focused on the most threatened water ecosystems, which are small reservoirs (e.g. oxbow lakes, ponds). Small water bodies are biodiversity hotspots and diversify the landscape. We studied cyanobacterial blooms, toxins dissolved in the water and plankton communities in two small oxbow lakes of Vistula River (the largest River in Poland) functioning in natural cycles, and two artificial ponds with long-lasting cyanobacterial blooms. The biomass of species which produce microcystins (Microcystis spp.) was higher in natural water bodies but in accordance with our prediction. There was a significantly higher concentration of microcystins dissolved in the water from in artificial ponds. Also the length of remaining microcystins dissolved in the water was longer in the artificial ponds. The concentration of microcystins was associated with the parameters of the zooplankton assemblages (richness, density, and biomass), both of, protozooplankton (Ciliata) and metazooplankton (Rotifera, Copepoda, Cladocera). Richness, density, and biomass of ciliates were higher in natural water bodies with a lower concentration of microcystins, which were dissolved in water for a shorter time. Similar but not the same was found for metazooplankton: richness and density were higher in natural water bodies but biomass was higher in artificial ones, with a higher concentration of dissolved microcystins. This high biomass was due to the presence of Cladocera (Daphnia spp.). This finding is not clear because many studies showed a decrease of Daphnia species during cyanobacterial blooms. However, recent reports suggest that decrease of Daphnia population is not necessary because of cyanotoxin production. In addition, short-term exposure to toxic cyanobacteria can improve the fitness of Daphnia spp. This ability might be also transferred to offspring. Checking the structure of proto- and metazooplankton we found that water bodies were characterized by a specific structure of planktonic animals. Ciliates assemblages were differentiated in the oxbow lakes functioning according to natural cycles in temperate zone from that of that of the artificial ponds, but those differences were not significantly important. However, significant differences were found among the structure of metazooplankton assemblages in natural and artificial water bodies. The structure of zooplankton assemblages showed homogenization in the artificial ponds where long-lasting cyanobacterial blooms were present and with a higher concentration of microcystins dissolved in the water. Results of our studies indicate a problem which we should expect to see more of in the near future. Growing eutrophication, climate changes (warming, more often and violent floods, heat waves) and increasing alteration of water bodies by humans (transformation, destruction or creation of new waterbodies) will promote cyanoHAB’s phenomena. This may cause changes in the water trophic network beginning from homogenization of plankton species structure, tended toward uniformity. These findings are described in the article entitled Effect of Microcystins on Proto- and Metazooplankton Is More Evident in Artificial Than in Natural Waterbodies, published in the journal Microbial Ecology. This work was led by Elżbieta Wilk-Woźniak, Joanna Kosiba, and Wojciech Krztoń from the Institute of Nature Conservation, Polish Academy of Sciences, Kraków, Poland. Joanna Kosiba is a Phd student at the Polish Academy of Sciences | PAN · Institute of Nature Conservation. Wojciech Marek Krztoń is a biodiversity researcher associated with the Polish Academy of Sciences | PAN · Institute of Nature Conservation.